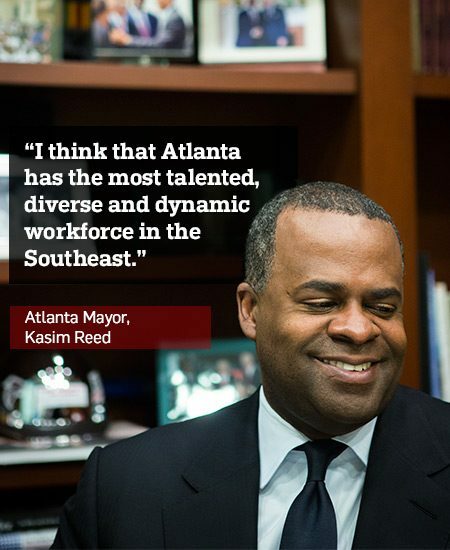 Atlanta Mayor Kasim Reed is in his last year in office, wrapping up two terms that saw the city grow in both population and economic opportunity. A Democrat credited with fixing the city’s pension system, balancing the budget and growing Atlanta’s cash reserves to $175 million dollars, Reed has also been an active player in regional efforts to lure major corporations—such as Porsche North America, which opened a $100 million Porsche Experience Center and corporate headquarters in Atlanta in 2015. 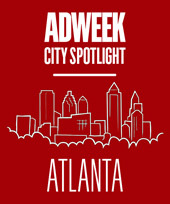 Adweek: Several brands have relocated to Atlanta or expanded into the city in recent years. What role did you and the city play in getting them here? Mayor Kasim Reed: Well it really starts with a focus on excellent customer service and strong fundamentals. The way you help the technology industry and other industries is to make sure that the city is fundamentally a place where people believe that their investments will thrive. We have an unprecedented level of cooperation between myself and (Republican) Gov. Nathan Deal, so that when a business is trying to make a decision, they really are dealing with the city and the state in a seamless fashion. When Governor Deal and I make a commitment, you can certainly take it to your shareholders with a high level of confidence. Over the past 42 months we’ve had 17 corporate or regional headquarters choose to live inside of the city of Atlanta. I think the most powerful commitment of that kind has easily been from NCR, which is building a $350 million dollar campus. What we have tried to do is to make sure that the city creates a nurturing environment for entrepreneurs and that we’re not an impediment. Frequently when we’re competing for headquarters, it typically gets down to Atlanta and a Dallas, for example, but that means that we’re occupying our territory in terms of the Southeast. That’s really what we consider our sweet spot. And so what I tell my team is, I want to create the dominant city and the dominant economy from the eastern border of Texas to the Atlantic Ocean, North to Maryland, D.C. and Virginia, and we really don’t count Miami, because it’s down a peninsula. How big a factor is Hartsfield-Jackson International Airport in attracting businesses and their headquarters to Atlanta? I mean, in terms of attracting business to Atlanta, first is Hartsfield-Jackson Airport, second is Hartsfield- Jackson Airport and third is Hartsfield-Jackson Airport. Last year, we renewed Delta Airlines’ headquarter relationship with the city of Atlanta for 20 years, so that will ensure that Hartsfield-Jackson will remain the dominant airport in the world. If you’re in the city of Atlanta and you have a regional or global headquarters, you have the ability to check on operations within the U.S. and get back home. So no matter what executive you are, there is a growing desire for everyone to get back home as quickly as possible to be with our families. We think that if you want to be in the South, that it’s going to be us. The city of Atlanta sits in a regional GDP in excess of $305 billion dollars. We sit in the ninth largest metro in the United States and our region’s GDP is larger than 30 states in the union. So all of those things are what we consider our core strength. Susanna Capelouto is a broadcast journalist living in Atlanta.